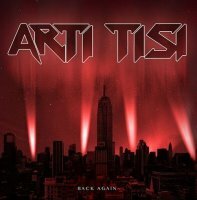 The story of Arthur (Arti) Tisi echoes that of so many Melodic Rock artists and bands that "almost made it". Having worked through the course of approximately seven years with a veritable who's who of Hard Rock at the time, and backed by Bruce Payne of Thames Talent (Deep Purple's management), it seemed that Tisi was in pole position to become a bona fide contender. Sadly, it didn't happen, but to Tisi's (and the supporting cast of stellar musicians) credit they did manage to record some mighty fine music along the way. With little information to support any timeline, I believe that the bulk of the material here was recorded between 1988 and the early nineties, with this fifty-three song retrospective being divided into three discs. 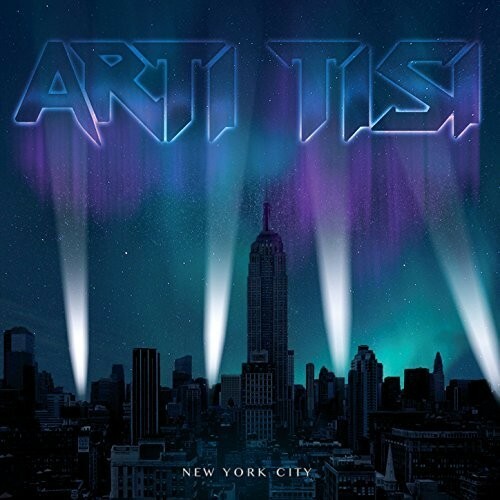 The first disc, 'New York City', is heavily-laden and choc-full of stomping melodic anthems, not a million miles away from Kane Roberts in terms of balls-out Hard Rock that's delicately laced with hugely sing-able choruses, pounding drums, searing guitars and succulent keyboards. Standouts include the Harem Scarem doppelgänger 'Change Of Heart' and the huge anthem 'A Little Too Early' which rightly made the mainstream when covered by Lita Ford on 'Dangerous Curves'. A second track that any self-respecting Melodic Rock fan is surely familiar with is the original version of 'Think About Love', covered by Drive She Said, proving that Tisi did indeed have the tools to craft excellent songs. The up-tempo Rocking title track is also deserving of a mention, as is the slightly Sleazy 'Love You Too Much' which is another riff-driven entry with some huge gang style chorus vocals. Disc two, 'Back Again', kicks off with the mega-huge Dokken-esque riff monster 'Mirrors Don't Lie' with 'She Lights Dynamite' carrying on where the opener leaves off. Although the sound is a little thin – let's not forget these were demos – it's yet another testament to Tisi's sterling song-writing and delivery. 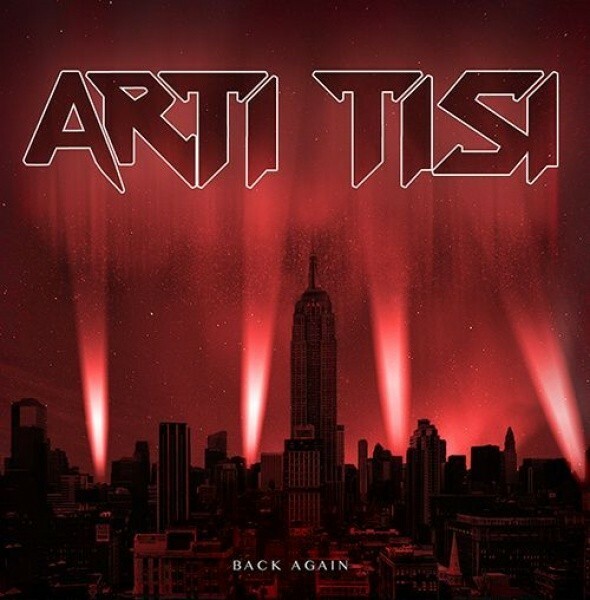 'Take It Out On You' shows Tisi was heading in a far chunkier path than he was on '...City', the riff on this almost replicated by Station on their 2012's 'Everything'. Tisi is no slouch in the ballad department either, with 'Can't Face Another Night' right up there with anything MTV and Hair bands could offer circa 1990. Special mention also for the rather splendid 'We Will Survive' and the Western-textured, acoustic-based 'Mama Sweet Evil' which Badlands, Bon Jovi or Tangier could have claimed and carried off with ease. Last disc, 'The Reeperbahn', sees something of a change in direction towards a more mainstream sound, with the likes of 'My Suspicious Side' plundering 10cc for delicate keyboard-based balladry. The riff on 'Restless' is a shameless rip-off of a Richie Sambora lick, although the song itself is more than decent. 'How I Fell' was maybe a prelude to the Goo Goo Dolls, acoustic-based light Rock, albeit done with a lot of style and panache. 'I'm The Man' would have been more at home with John Belushi and Dan Aykroyd ripping it up, however it does serve to showcase the writing talents of Tisi. 'Break Away From You' is another candidate for 'The Blues Brothers' or a similar styled band. All in all, '...Reeperbahn' represents an almost total shift away from the first two discs. Not that the songs are bad, far from it, it's just that to the average Melodic Hard Rock fan, there is very little appeal due to the deployment of such a wide variety of styles. Arti Tisi no doubt had the tools, the chops and the ability to go all the way, but somewhere along the road he, like so many others, got lost in the mix. Whilst this collection genuinely deserves to be heard by Melodic Hard Rock fans, I would say that the meat is in the first two discs, while the third is absolutely non-essential. If this had been a two disc set, it may have had cause to be considered very special, the last disc over-stretches it and leaves me with a rather bland taste in my mouth. This is excellent for the most part, and even the very good bits border on excellence, but perhaps, in hindsight, just a double disc offering would have been more than enough.